Ron’s Speedy Rooter and Plumbing Repair, Inc. has been serving Bakersfield, CA for more than 20 years. Whether you need your existing water heater repaired or require tankless water heater installation, our plumbers are ready to help. When it comes to water heaters, we are the only call to make. Whether you need water heater installation at your brand new home or water heater replacement, the plumbers of Ron’s Speedy Rooter and Plumbing Repair, Inc. will take care of it. 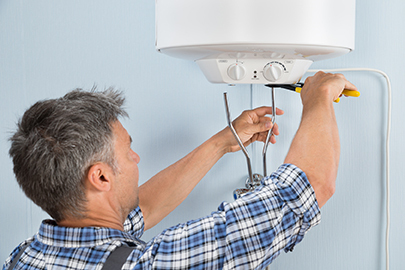 Your new water heater will be installed and ready to go in no time. When your water heater isn’t functioning properly, Ron’s Speedy Rooter and Plumbing Repair, Inc. will provide fast water heater repair service. We will do all that we can to fix the problem and get your water heater working to its full potential. If you have decided to replace your current water heater with a tankless water heater, call Ron’s Speedy Rooter and Plumbing Repair, Inc. Our plumbers are skilled at tankless water heater installation. You can count on us to do the job right.